(for detailed directions on the route to follow, we recommend, among other sites, the websites of the motorways, viamichelin and mappy). If you are arriving by train (see the Trenitalia website for train times) you can reach the Università degli Studi di Brescia sites in different ways, by taking the underground or by bus. Europa, for the sites of Viale Europa and Via Branze. The taxi rank is just outside the Station building. 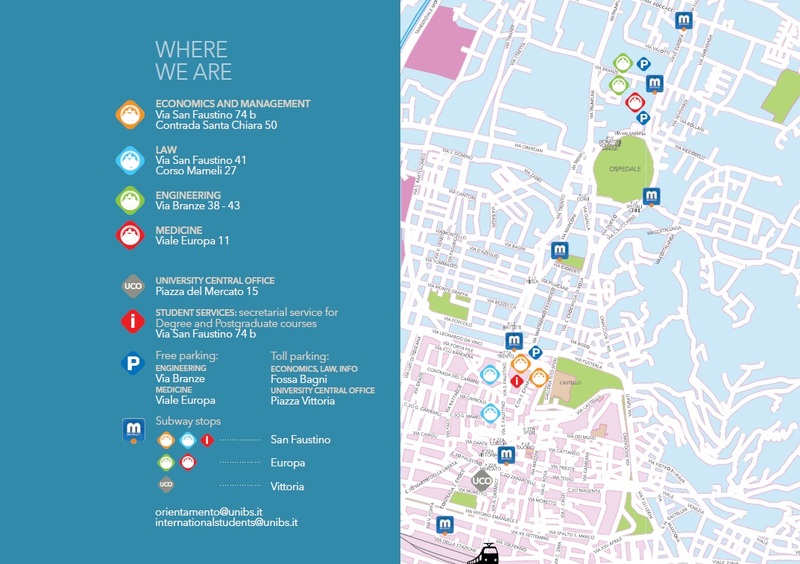 You can find all the administrative offices and other sites by looking at the map.